Yes, I want to receive ADE’s weekly newsletter with all the new project vacancies and job opportunities. You will receive an email with your username and password. 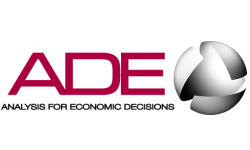 To activate your account, simply log on to ADE’s website. Thank you for your registration in our CV Database!